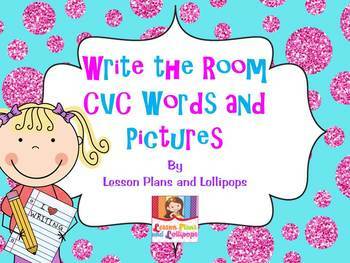 Get students up and moving with these write the room activities. 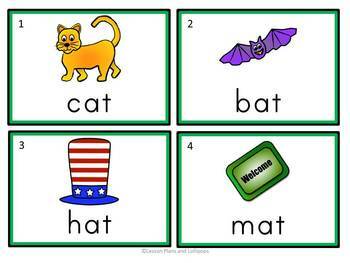 Each set of cards focus on one short vowel sound. For each of the 5 sets of cards, you get 2 sets for a total of 10 sets! 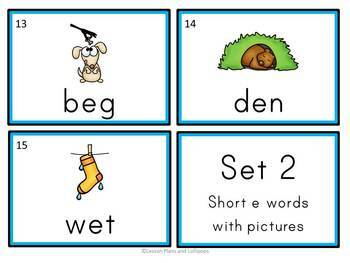 One set of each vowel deck includes the picture with the word for students who are not quite ready to spell the words. You also get a set that only has the picture so students must spell the word themselves. 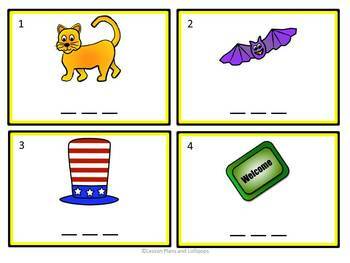 Hang up both sets to differentiate the activity to meet the various needs of your students. You could also hang up the picture only cards and have students write the beginning or ending sound. The choice is yours. *2 sets of 15 cards that focus on short a. *2 sets of 15 cards that focus on short e.
*2 sets of 15 cards that focus on short i. *2 sets of 15 cards that focus on short o. *2 sets of 15 cards that focus on short u. *One recording sheet that can be used in various ways. If you have any suggestions on how to make this packet better, feel free to contact me. Follow my store to stay updated on free and new items and sales.